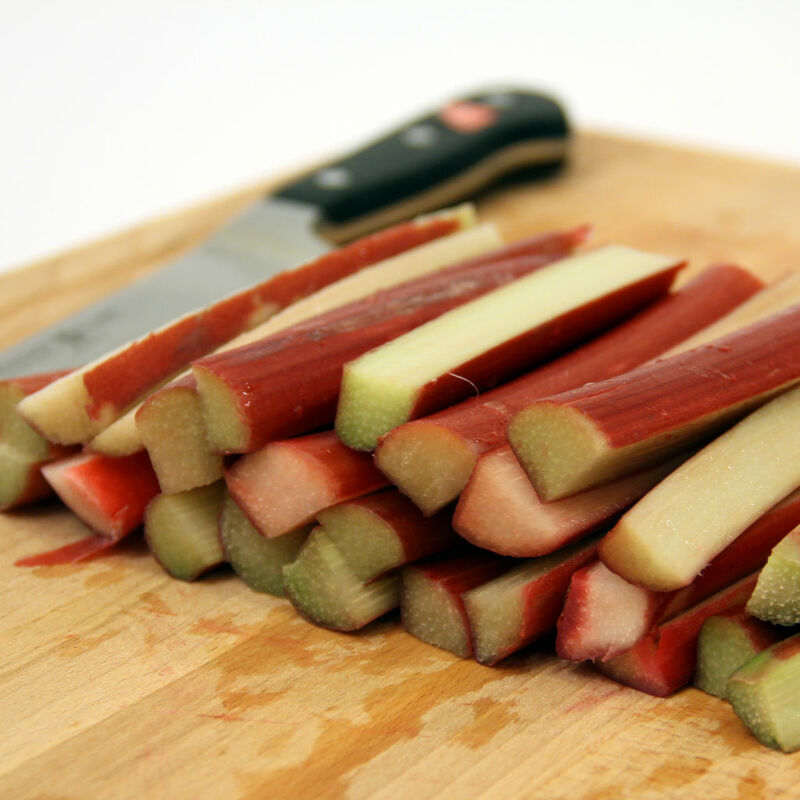 You can totally change up this recipe to reflect whatever aspect of the rhubarb you want to bring out by adding more or less sweet, spicy, or tangy ingredients. It's really simple! And whether you want to hot-process these pickles so they store for a long time, or treat them as refrigerator pickles is up to you. 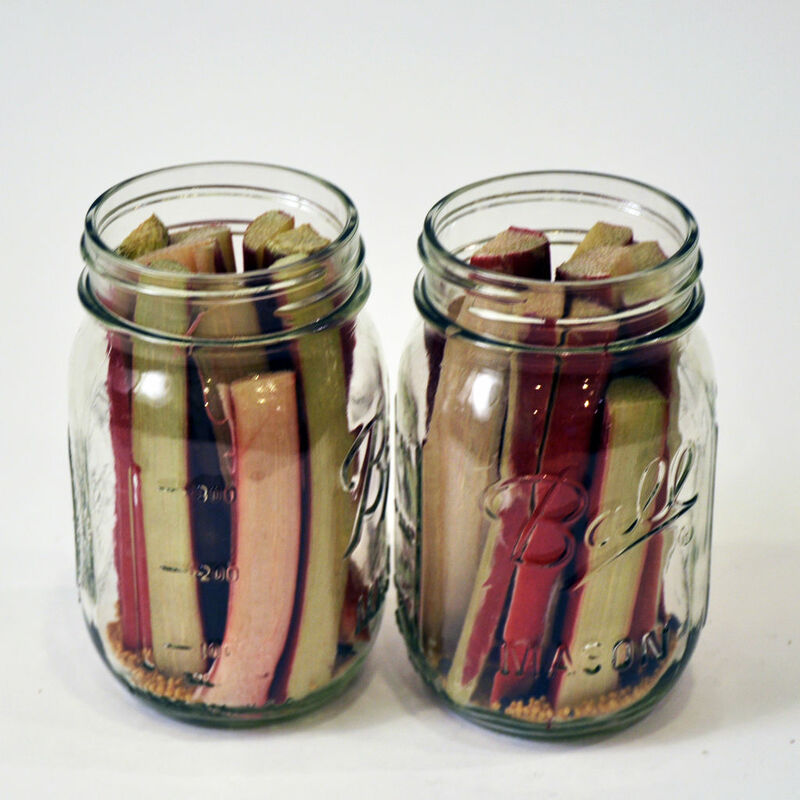 Processing the rhubarb makes for a softer pickle, great as a chutney or relish. 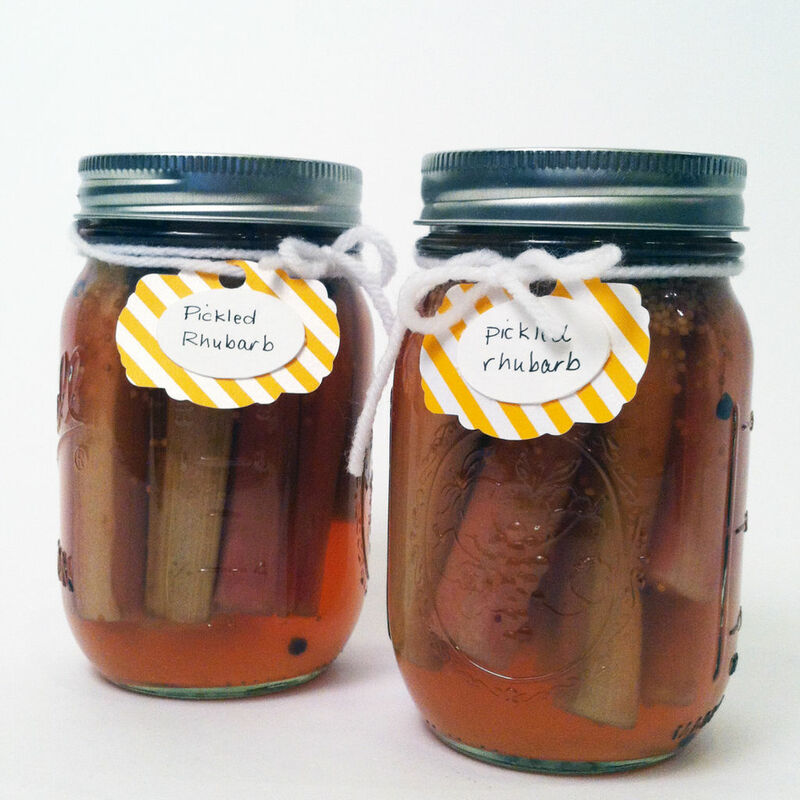 Or you can skip this step and stick them straight in the fridge for crisper pickled rhubarb! In a small saucepan, combine the apple cider vinegar, water, sugar, ginger, and salt and bring to a gentle boil until the sugar has completely dissolved. Divide the spices up between the two jars. You can go crazy here - add star anise, cloves, whatever sounds good! 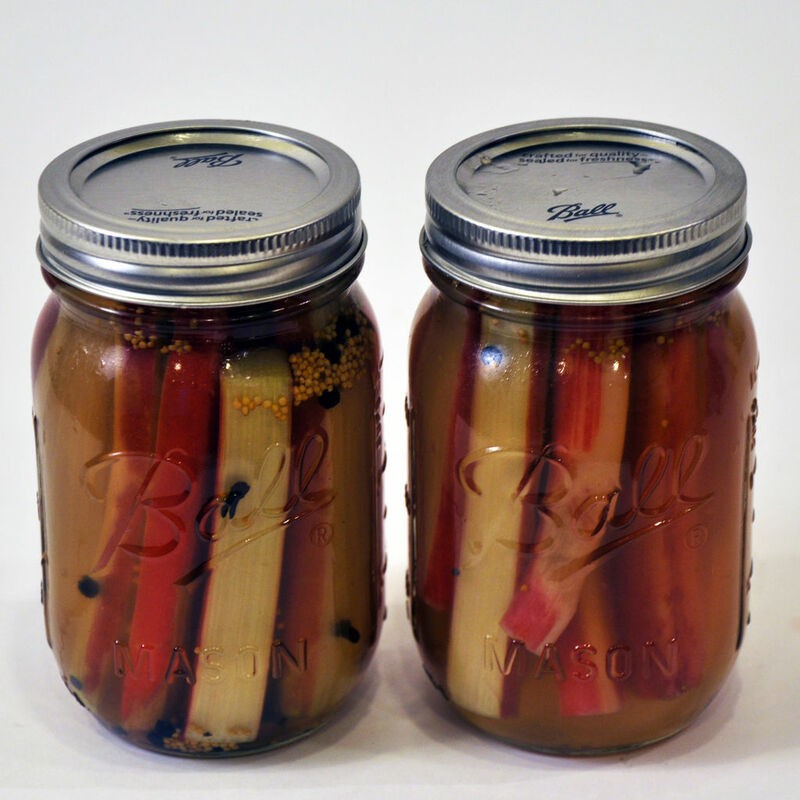 Pack your rhubarb spears into the two jars. 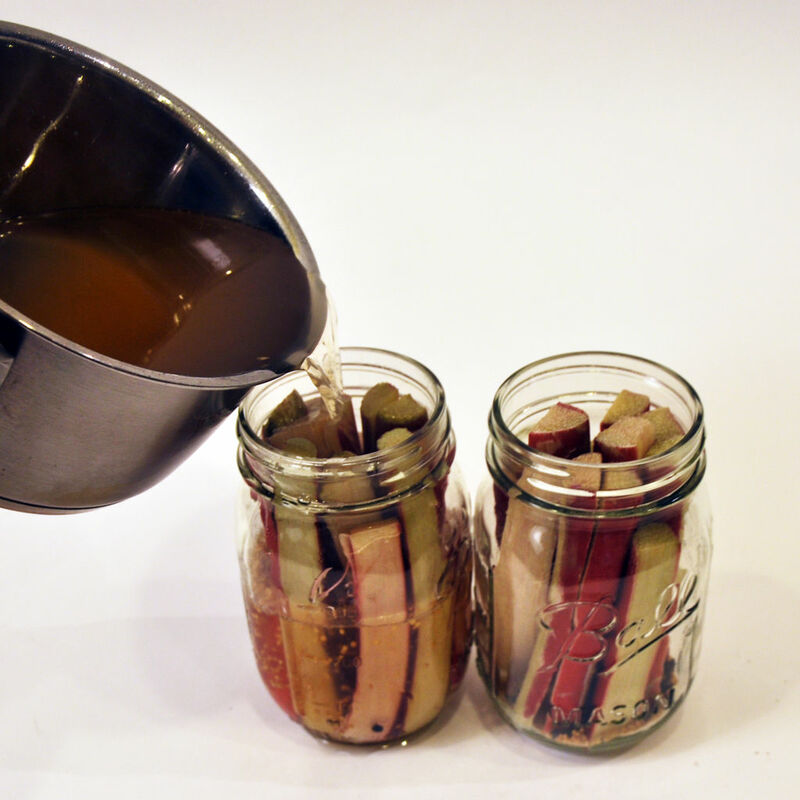 Top the spears with the pickling liquid. 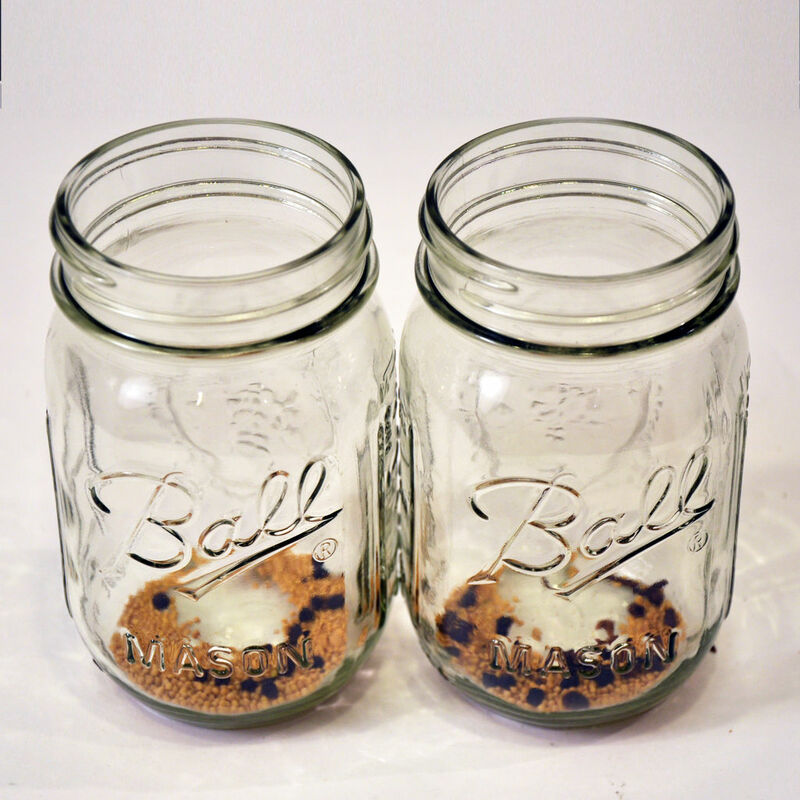 Wipe the jars clean and screw on the lids. For pickles that will be shelf-stable for a year, hot process the jars by placing in a boiling water bath for 10 minutes, making sure the water completely covers the jars. Get more details about canning in Tim Anderson's guide to canning! For crispier refrigerator pickles, stick 'em in the fridge! They'll be ready to eat in 24 hours, and good for a week!